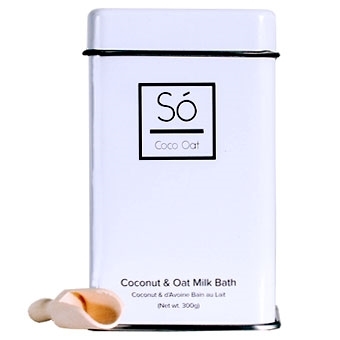 Só Luxury Coconut Oat milk bath made in BC. Coconut and Oat milk bath in a refillable tin. You just need to add one to three tablespoons to warm running bath water. Intended to be used in place of soap.